WESTMINSTER, Colorado – March 15, 2018 – Today the Weed Science Society of America (WSSA) announced it has recognized nearly three dozen students from 19 universities for outstanding research-related presentations and proposals. During the Society’s recent annual meeting, 27 students in Master’s and Ph.D. programs were honored for posters and oral presentations summarizing their weed science research. 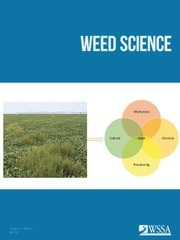 The topics ranged from basic weed biology and ecology to the evolution of herbicide resistance. WSSA also has honored nine undergraduate students with research awards designed to nurture their interest in weed science. Both graduate and undergraduate award winners are listed below. The nine students chosen for John Jachetta Undergraduate Research Awards will receive up to $2,000 to fund their research. Each student will be guided by a member of their university’s faculty. Margot Pitney plans to investigate the impact of temperature variations and water availability on the efficacy of herbicides used to control burcucumber in corn crops. Sponsor: Antonio DiTommaso, Ph.D.
Dakota Came will investigate how atrazine-resistant Palmer amaranth responds to preemergence applications of the herbicide. 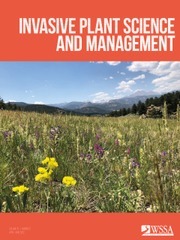 Sponsor: Mithila Jugulam, Ph.D.
Giovanni Antoniaci Caputo will explore sweet potato allelopathy as an aid for weed control. 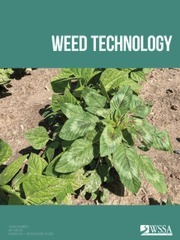 Sponsor: Te-Ming Paul Tseng, Ph.D.
Adam Constine plans to explore how shading Influences the growth and photosynthesis of both weeds and cover crops. Sponsor: Karen Renner, Ph.D.
Justine Fisher plans to use a PhotosynQ instrument to assess dry bean injury from dicamba tank-contamination. Sponsor: Christy Sprague, Ph.D.
Claire Sweeney will explore whether Solanaceae family weed species serve as alternative hosts for Phytophthora infestans. Sponsor: Erin Burns, Ph.D.
Rachel Watson will research the mass rearing of the psyllid Calophya latiforceps as a potential biological control agent for invasive Brazilian peppertree. Sponsor: James Cuda, Ph.D.
Kip E. Jacobs will explore the genetic linkage of metabolic resistances to atrazine and HPPD Inhibitors in multiple resistant waterhemp. Sponsor: Dean Edward Riechers, Ph.D.
Dallas Taylor plans to model the regulation of ultradwarf Bermudagrass clipping yields following trinexapac-ethyl and prohexadione-calcium treatment. Sponsor: Jim Brosnan, Ph.D.
EDITOR’S NOTE: Photos of Ph.D. and Master’s winners are available on request.